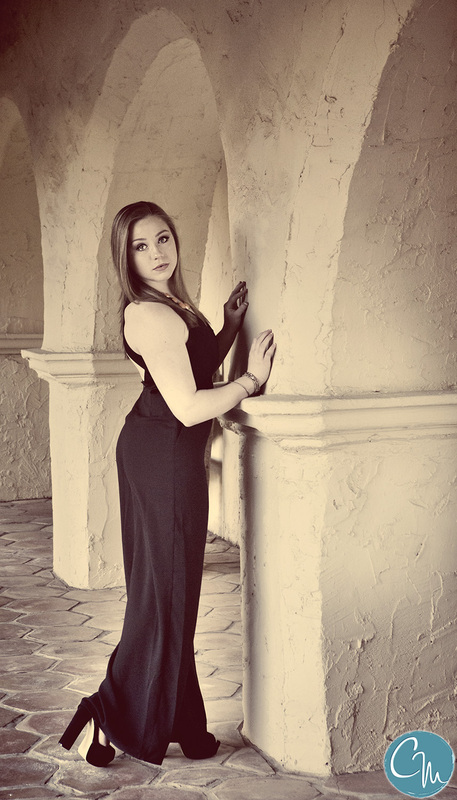 Rylee is the Cheer Captain at Horizon High School and graduating with the Class of 2016. This girl has eyes to kill! We shot up at the complex around the General Store at Pinnacle Peak and Pima. She came to us wanting to get great pictures and we did just that! We personally loved her in the maroon top. The sparkling lights from the chandeliers gave her images the soft twinkle which complemented her natural beauty. Rylee has made her decision and she will be attending the University of Arizona next year!